The German under-17 side became the first team to win a match using the new penalty shootout system. Germany defeated their counterparts Norway 3-2 to make the final of the Euro Under-17 tournament in the Czech Rep. The new system is more of a replica of the tie breaker in tennis. Referred to as the ABBA system, it seeks to help the team that takes the kick second in the shootout. The team that kicks after the other side in the shootout usually battle a psychological disadvantage as they have to play catch up. The new system prescribes that the shootout follows the tennis tie-break method. Germany lost their first three chances, yet they won the shootout. Slovenian outfit Olimpija Ljubljana have acquired Tottenham academy product Nathan Oduwa on a permanent deal, according to the club’s official twitter handle. The Premier League side agreed to sell of the player to the PrvaLiga defending champions as negotiations were mutually beneficent. “We have reached agreement with Slovenian top-flight side Olimpija Ljubjana for the transfer of Nathan Oduwa. We wish Nathan all the best,” the tweet from @SpursOfficial read. 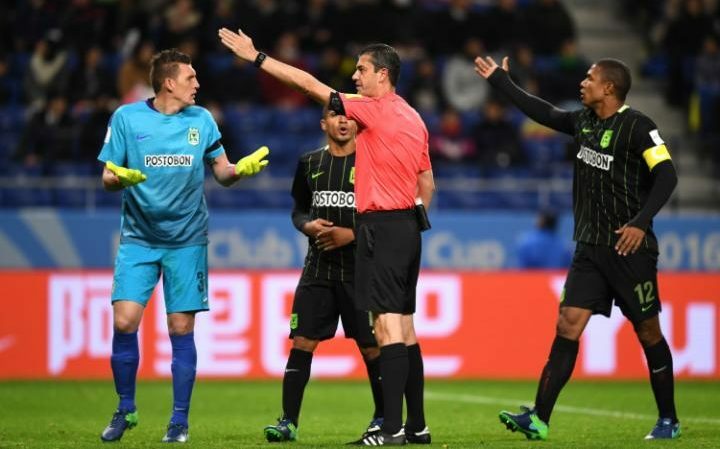 Earlier, whatever assistance a Football match referee was to get, he had to get it from within the ground because all the linesmen or his associates would only be present in the ground, but, now the referees would be getting help from outside the ground too as a couple of the referees’ associates will be sitting away from the ground in front of computers and laptops and that’s where they would be helping him from. So, that’s a sort of a big change in the decision making process in a Football game. 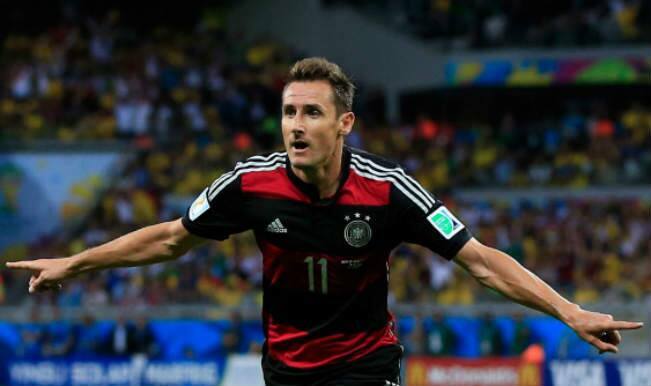 Former Germany international striker Miroslav Klose has confirmed that he has retired from football and that he will be joining the Germany coaching staff. It is believed that he will be joining Joachim Low’s backroom staff as he continues to study towards his Pro coaching license. The player who was playing for Lazio last season has announced his retirement at the start of this season and said that he is keen to embark on this new stage of his career. The player already retired from international football in 2014 after having won the World Cup with Germany. He is currently the highest goal scorer in World Cup history. 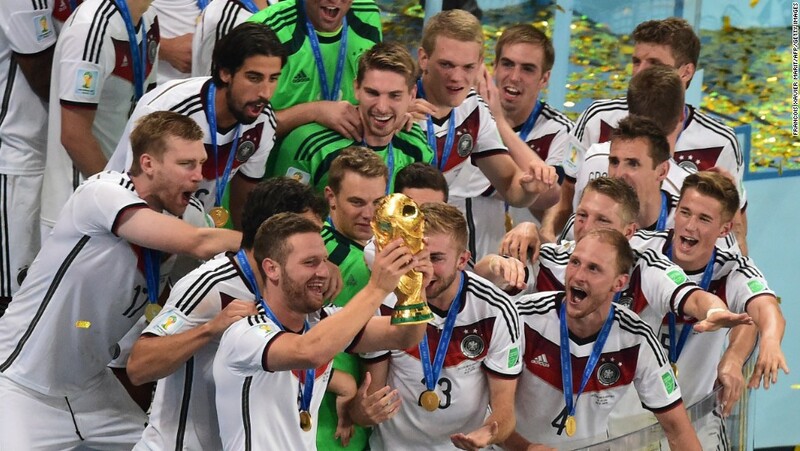 Miroslav Klose said that he was won different trophies during his career, but there is nothing compared to winning the World Cup. The player has played for Germany 137 times in his career and said that he would cherish the 2014 World Cup memories all his life. There is no rush in the German public to buy tickets of the coming Finland fixture which is going to be the final hurrah for one of their favourite sons, Bastian Schweinsteiger. More than forty thousand seats are available in the stadium the match has been designated to, but, not even 50% of the total seats have been reserved up to this point and Joachim Low reckons it will really be a sorrowful situation if the seats happen to be empty on the evening of the match. As stated by Low, what may happen to be the reason for a poor turn-out is that it’s not the best of the timings for a match like this as people have had a full dose of Football with a couple of big competitions taking place in the recent times in the form of Euro and Olympics and the domestic season has got off to a start too. Low revealed that he got a call from Schweinsteiger earlier this month and as soon as he heard from him about his decision, he right away made the promise to the playmaker that the farewell match was surely going to be organized for him. Germany might be quiet on the football front recently, but its players are still remembered as one of the best players in the Premier League. One such instance is Ozil. He is considered one of the best players in the English Premier League. Being a star and associated with Germany and Arsenal club, Mesut Ozil does wonders wherever he goes. He recently visited a Zaatari Refugee Camp. Located in Jordan, it was a courtesy gesture from his end to extend his goodwill and provide necessary donations to the refugees. Liverpool player and Frankfurt-born Emre Can was one of the winners at the German Football Ambassador awards in Berlin. The main prize went to Gernot Rohr for promoting Germany through international football. He won the public prize at the 2016 German Football Ambassador awards, following in the footsteps of three World Cup winners. The 22-year-old has become an integral figure at the Premier League giants under the guidance of German coach Jürgen Klopp. Can, a combative and dynamic midfielder, was developed at Bayern Munich before spending a year at Bayer Leverkusen. He was soon picked up by Liverpool who activated a release clause in his contract. After taking over from Brendan Rodgers in October, former Borussia Dortmund coach Klopp has made German international Can a key player in the side. Past winners of the award include Sami Khedira in 2013, Andre Schurrle in 2014 and Mesut Ozil last year. The German Ambassador honors players and coaches who promote a positive image of the country with their actions abroad. 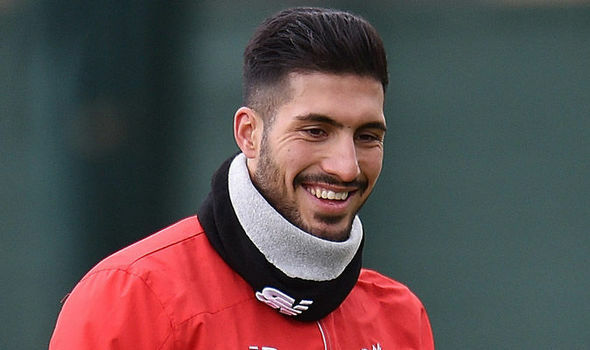 Emre Can won the prize after 57,000 votes were cast online, with Toni Kroos and Miroslav Klose finishing second and third respectively. The Liverpool player will be presented with a cash donation, which he will use for a social project in the United Kingdom. Gernot Rohr received the main honor on the night in recognition of more than 40 years of service to international football. The 62-year-old has coached in France, Switzerland, Gabon, Niger and Burkina Faso, his most recent job before leaving in December 2015. “I live as a German in France, but I feel European. The coach of the Italian national football team, Antonio Conte said that he feels excited and stimulated about being drawn in the same group as Spain for the 2018 FIFA World Cup qualifiers. Spain has recently been going through a downhill road of underwhelming results as they still haven’t appeared to be able to completely bounce back from their early exit in the 2014 World Cup. Nonetheless, even though Spain is clearly struggling and are not going through their best of times, Vicente del Bosque has at his disposal some of the best players in the world including the likes of: Sergio Ramos, Gerard Pique, David Silva, CescFabregas and Isco just to name a few of their main stars. With this amount of talented players, Spain still is considered to be a huge threat but Antonio Conte is happy about this challenge. 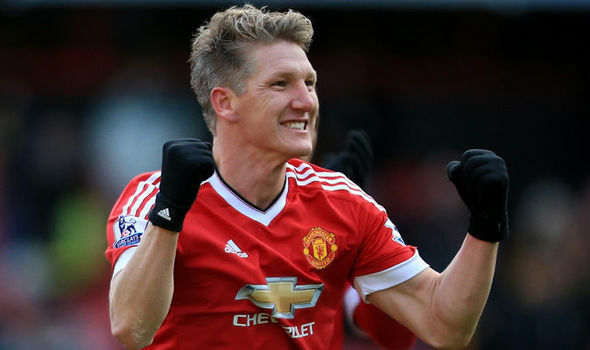 Germany’s Bastian Schweinsteiger states that his team will not be underestimating Gibraltar when they take on the minnows in an upcoming Euro 2016 qualifying match. After recently suffering a shock 2-1 defeat against the United States, Germany will be pumped up in order to get a result. This match is heavily important for the Germans, as it represents their ability to stay above Scotland in the Euro 2016 qualifying race. They also need to keep up with Poland, who have a one-point advantage. Germany have suffered only one defeat in the qualification campaign so far, but it has proved very costly indeed.